Now, forty years since its original publication, Hans Kung's groundbreaking study--acclaimed as a model for ecumenical discussion--has become a classic work. 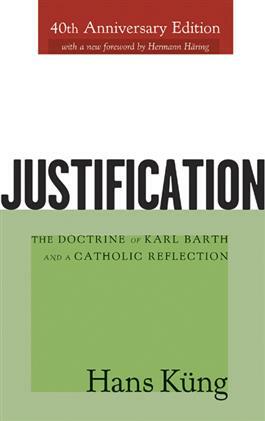 Looking at the doctrine of justification as understood by the Protestant theologian Karl Barth in comparison to classic Roman Catholic theology, Kung found that the two had similar ideas about the main elements of justification. He argued there is fundamental agreement between Catholicism and Barth's doctrine and that the somewhat divergent viewpoints "would not warrant a division in the Church." This anniversary edition now features a new essay assessing Kung's work in light of contemporary ecumenical dialogues between Roman Catholics and Protestants.